Wouldn't it be just ideal if you had a car for every occasion? An easy-to-drive hatchback for the daily commute, because god knows it takes some of the guesswork out of parking. On the other hand, when you have grandparents, or family visiting, you'd likely prefer to move everyone around together. But that's wishful thinking. You most likely will have to pick just one, and live with it. And for the small percentage of people who find an SUV too cumbersome to drive in the city, or can't find a seven-seater SUV in their budget, the Ertiga was the practical choice. Except, there's a new one now  it's bigger, and more comfortable for seven, but still not as large as the more expensive Marazzo which lies in a segment above. How much more car are you getting for the extra money? One of these two is overdone stylistically, while the other shows restraint. And for a change, the Mahindra isn't the former! Don't get us wrong, the Ertiga basically has a simple, handsome design, but then the fussy bumpers and chrome start getting shouty. The large windows, high roof, and 15-inch wheels do give the Ertiga a top-heavy, vaguely van-like look, which worsens when viewed from the rear. With inputs from Pininfarina (you know, only the same guys who designed Ferraris, notably the Testarossa), the Marazzo is far more proportionate. So, if you notice a bit of sporty, Italian flair in the the sides of the Marazzo, you know why! It's quite evidently larger than the Ertiga too  at 4,585mm long, it's nearly 200mm longer than it, though in wheelbase it's only 20mm longer. 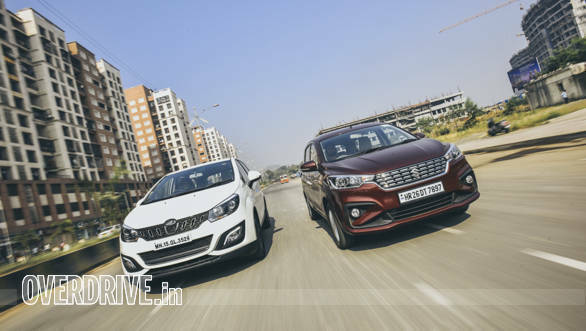 SUVs these are not, but the Marazzo has better road presence thanks to its size, while the Ertiga draws attention with a flashy grille. You get the idea, but then again, the Marazzo doesn't do much better here, offering a dual-tone cabin but with leather upholstery and darker plastics in high-touch areas, at least. Ergonomics are better in the Ertiga, from the car-like driving position to the fact that you can lift your beverage straight from its cooled cup-holder to your mouth without looking, whereas in the Marazzo you'd have to bend forward and fumble around under the parking brake lever and armrests. First impressions point to the Marazzo having better materials and finish, but it's a slim difference in feel. Sitting in the Marazzo does give you a bigger-car feel, but practically speaking, it's not a yawning gap. 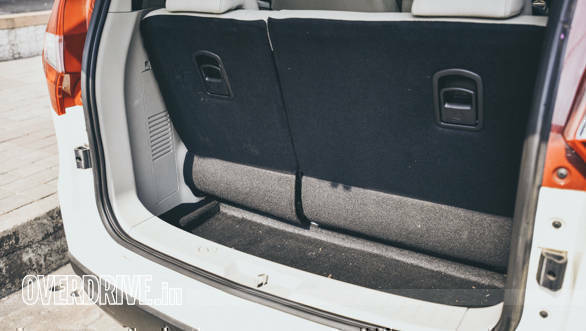 Space utilisation is better in the Ertiga, considering its smaller footprint. 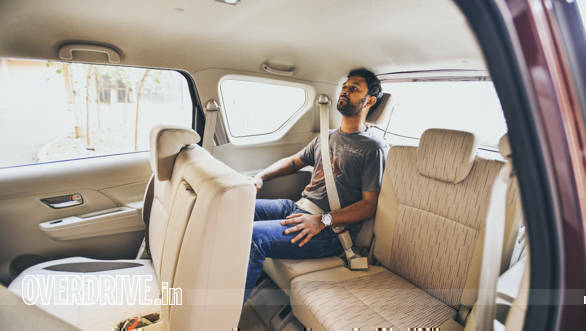 While the captain seats in the Marazzo are beyond compare (obviously) to the Ertiga's rear bench, the second row of seating in both can be slid back and forth, and reclined. In the third bench, the Ertiga feels less cramped, but I suspect that might have something to do with the fact that the Marazzo requires you to squeeze three in there to carry the same seven people in total. FYI, an 8-seater Marazzo is also available, but just not at the time of this test. The high roof of the Ertiga helps, giving enough headroom in either row of seats, though the top of my head was brushing against the roof when I leaned the third row back. Interestingly, you can't lean the third row in the Marazzo, and I found I couldn't keep my legs as flat as in the Ertiga, with the middle row in both cars in their "middle" position, on the seat rail. 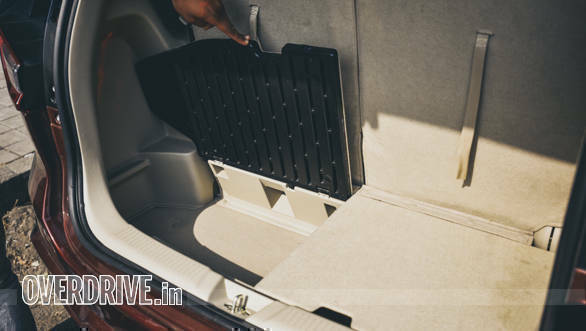 You would think boot capacities with the third row up are comparable - the Ertiga has 209l and the Marazzo has 190l, but the difference appears more substantial in real life. In terms of features (and in our opinion), what the Ertiga needs to be complete are automatic headlights, wipers, an auto-dimming IRVM, and more USB ports for charging, though it has a 12V port for each row. On the other hand, at the asking price, the Marazzo needs proper keyless entry and start, lane-change indicators, an auto-dimming IRVM, and more than the three USB charging ports provided. We've recently separated the safety features from the overall space and features score, because we didn't want a car with good safety features to be overshadowed by one with a snazzier-looking cabin. Unfortunately for these two, they both score poorly, offering a maximum of two airbags across the range, even stranger when you consider that they're both advertised as seven-seaters. The Marazzo redeems itself a bit, since it can call emergency services for you if an airbag goes off. On paper, there's glaring differences between the two motors. The Mahindra  120PS, 300Nm torque, six-speed gearbox. 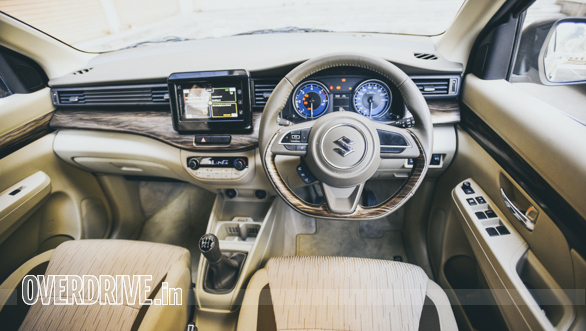 The Maruti  90PS, 200Nm torque and a five-speed gearbox. We'll just come out and say it  the all-new 1.5-litre D15 diesel engine on the Marazzo has much better manners than the familiar 1.3-litre diesel in the Ertiga. It's quieter at start-up, and through the rev range, and generally needs you to shift less to keep it in the power. The Marazzo is very tractable, and it shows in its roll-on figures, where the Marazzo was consistently almost a second ahead of the Ertiga. 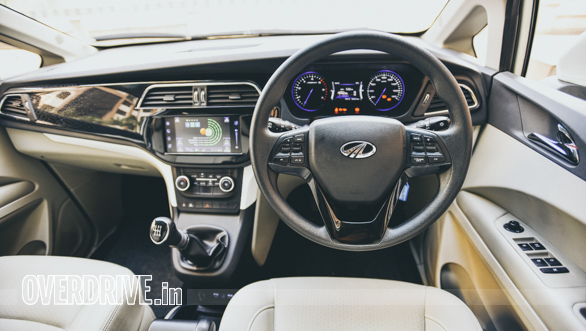 The Marazzo's springy throttle pedal, and super-linear way of giving you power can sometimes fool you though, because it's not as outright quick as the lighter Ertiga. 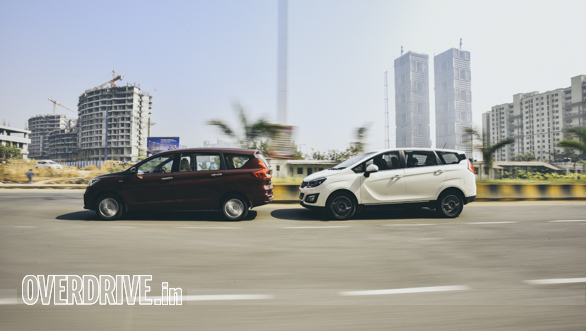 Foot pressed all the way down, the Marazzo gets to 100kmph from standstill in 16.2s versus the Ertiga's 14.7s. 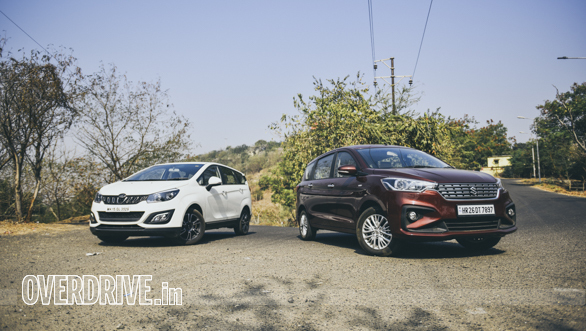 Note that we have tested the Marazzo previously, and got quicker times, but when both MPVs were tested back-to-back in the same test conditions, these were the figures we got. Of huge note is the five-speed gearbox of the Ertiga, which has the engine spinning at a relatively high 2,450rpm at 100kmph, which goes up to 2,900rpm at 120kmph. Obviously, the Ertiga isn't the ideal machine for high-speed cruising then, since the Marazzo with its six-speed gearbox is still under 2,500rpm at 120kmph. At a steady 100kmph for our highway fuel efficiency test, the calmer-running Marazzo returned 18.5kmpl to the lighter Ertiga's 18.9kmpl. 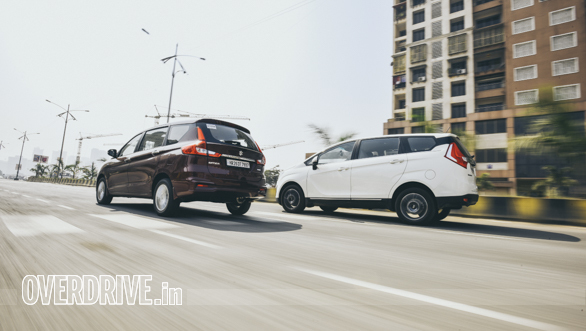 In the city, the impressive-for-its-size 14.1kmpl of the Marazzo can't hold a stick to the Ertiga's hatchback-like 15.8kmpl. This is unsurprisingly an area where the two trade pros and cons. The Ertiga is a monocoque, has good ride quality, which gets better the more passengers you load in. But still, it never really impresses with its damping capabilities. Its steering is better weighted throughout, and your passengers won't feel as much cornering force on them if you were to get over-enthused. 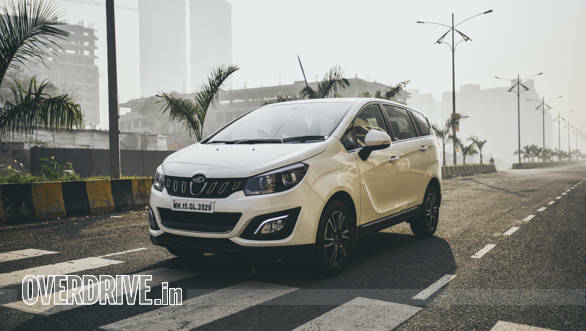 The Marazzo has a body-on-frame construction, has smooth and plush ride quality, and will only exhibit the ladder-frame-typical bobbing motion on an irregularly surfaced road at high speed. 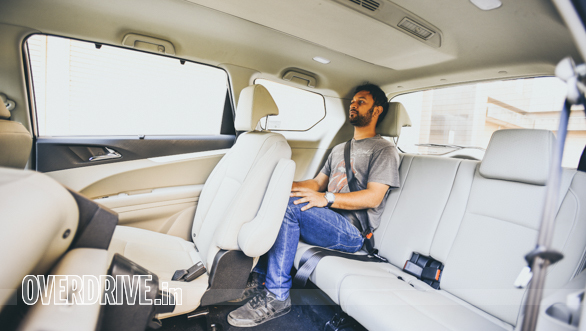 The softly-damped ride is a trade-off for rear-seat comfort through a series of corners. If you do feel things getting hairy, it's easy to modulate the brakes on the Marazzo, though you will find yourself halfway through the pedal before the brakes come alive. Considering it offers discs at all four corners, we'd hope for more bite. The extra mass to stop means the Marazzo's braking advantage isn't as great as we thought it would be. We know, we know. The prices don't match up. But we're looking at someone who wants the most value for their money  a likely scenario, considering the practicalities that led the family man to an MPV in the first place. 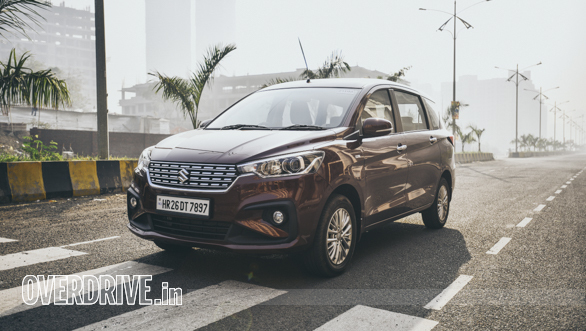 The Ertiga does everything just well enough to score very comparably to the more expensive Marazzo, especially since it seats seven as comfortably! And though the size-larger Marazzo does the same thing with just a little more panache and ease, we only really see it being an upgrade for existing Ertiga owners. If you're someone stepping into the people-mover game for the first time, the Ertiga's got you covered.